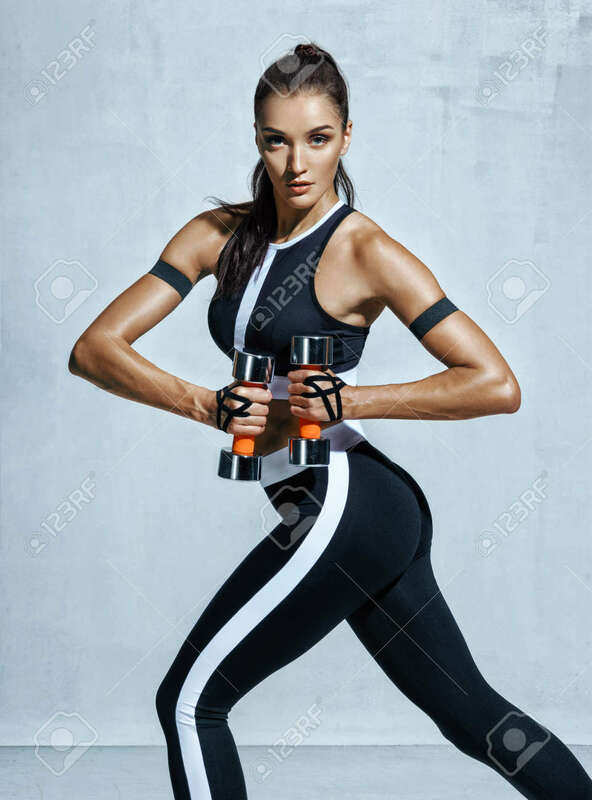 Young Latin Woman Doing Exercise With Dumbbells. Photo Of Sporty.. Stock Photo, Picture And Royalty Free Image. Image 94812768.